Interlocking 50cm x 50cm tiles, 16mm height. 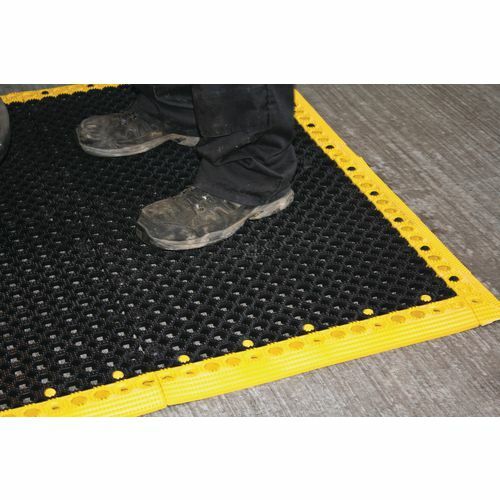 Slip resistant open grid design, with pimpled surface. 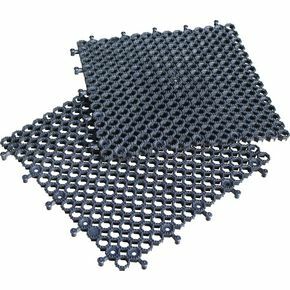 Highly durable recycled PVC construction. Resistant to most acids, alkalines and oils. 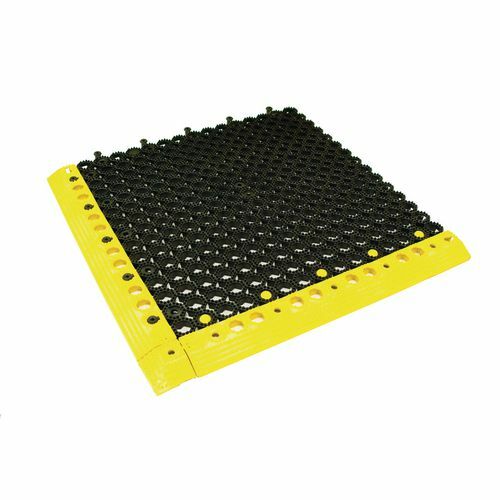 Edging strips and corner pieces available separately. 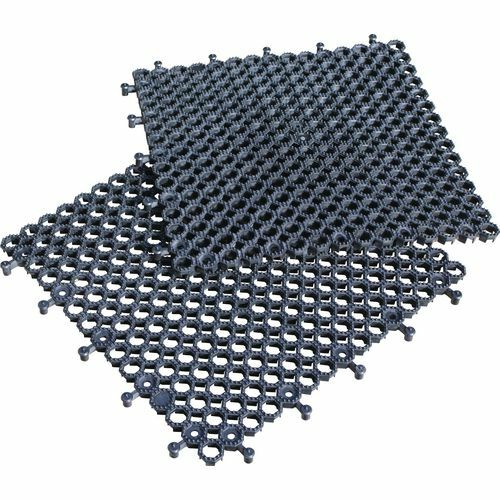 Sold in packs of 16 tiles. Edging strips and corner pieces available sepately.